A Stitch Book is a sewn out sample of EVERY utility stitch, buttonhole and decorative stitch built into the sewing machine you own. We have been sewing out STITCH BOOKS for years. Every time a new top-of-the-line sewing machine is launched someone stitches out all the stitches. As you can see, the sewn out version of a stitch looks 10x BETTER than just the picture on the screen. In our Sewing Mastery Mastery Classes we always highly recommend to students to stitch out a Stitch Book. Those that do it RAVE about how much more they know their machine, how beautiful the stitches really are and always have a much higher appreciation of what came built into their machine. Some students even go one step further and sew each stitch at three different settings. One normal, a second with the width adjusted and a third with the length adjusted. Here is one person’s extra special Stitch Book. Click here to learn more. Selecting the right fabric, thread and stabilizer can make a Stitch Book pop! If you are taking all the time to stitch out every stitch, you might want it to make it look good too. A solid color of fabric works well. Cotton fabric will work great with at least one layer of Tear-Away stabilizer behind the fabric. Denim fabric is also very striking too. Next select a thread color that is easy on your eyes. I have had some people say variegated thread is pretty but takes away from the shape of the decorative stitches. Others prefer a super high contrast such as black thread on white fabric or vice versa. Select a standard weight of Tear-Away stabilizer when stitching out decorative stitches. The result will be nice flat stitches that stitch out as they were meant to stitch out. If the fabric puckers use a second layer of Tear-Away stabilizer. Want to SPEED Up This Project? Use the START/STOP button on the front of your machine! Skip the foot control and let the machine do the work for you. Activate the START/STOP button at the beginning of each stitch row. Than use the “pattern end” function or the “scissor” function to have the machine complete the decorative stitch at the end and lock the stitches. Select the next stitch and repeat. 1. Great Reference Tool – Use the sewn Stitch Book as a reference when looking for a perfect stitch for your next project. 2. Stitches Look Better Stitched Out – Seeing the stitches in thread verses on the sewing machine screen is truly night and day. If you don’t believe it, stitch out three rows of decorative stitches and see for yourself. 3. Get More Comfortable With Your Machine – When stitching out all the built-in stitches, you will start to use of the function buttons to make this job go faster and smoother. Enjoy the pattern end functions, sewing without the foot control and how the locking stitches work so threads do not come loose. 4. Find New Stitches – Find new stitches you didn’t even know you had. Many students tell me that they found some new favorite stitches they didn’t know they had after completing their stitch book. 5. You Will Bond With Your Sewing Machine – I know this sounds cheesy, but trust me, you will! The two of you will have new friendship that only this project with bring out. A bond between a you and your sewing machine is special beyond words. Attention Future Stitching Cosmos Students…One of your Stitching Cosmos homework assignments is to sew a Stitch Book. Get a jump on your homework and have it completely stitched out BEFORE class starts. Trust me! You will be thankful you did! Check out the Stitching Cosmos Photo Gallery HERE! Stupendous Stitching is an excellent Craftsy class to take if you want to know more about making your own stitch book and other uses for your sewing machine’s decorative stitches. Check out the Stupendous Stitching Photo Gallery at the end of the class description to see numerous Stitch Book variations and decorative stitch projects. Heirloom Creations Stitching Cosmos classes are starting again soon. 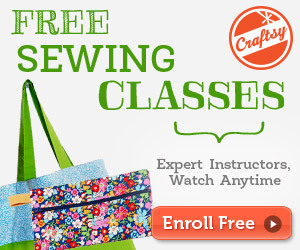 Check out our class calendar for a list of the next available Stitching Cosmos classes. See the amazing Stitching Cosmos Photo Gallery! So whether you have 10 built-in stitches or 1,000 built-in stitches, it is worth stitching them out! We guarantee you will be pleasantly surprised and you will fall in love with your sewing machine all over again. I love this idea!!! I never thought to do this. Thank you for sharing. I did the Stupendous Stitching class and made the “stitch bible” based on the instructions! Takes a while, but so worth it, when you have the machines with the expanded stitches! Afterwards, I did a machine embroidery then all the different stitches. Really great! I love this. I wish I’d seen it before I stitched out all of my stitches. These instructions are great. I may do it again. I did see your video on the Bernina 7 series about sewing out all of the stitches, and I did. It really did exactly as you say. I really learned my machine so much more quickly and I realized how many interesting stitches there are. I’ve been sewing for years and never heard or thought of doing a stitch booklet that is a wonderful tool to have on hand. I can’t wait to get mine done I’m always testing different stitches and it takes up so much time to have to rip them out if they aren’t right, the book would save so much time, thank you for such wonderful advice.